Clinical Impedance Meter | Ear Diagnostics, Inc. | Hearing Aids Philippines | Ear Diagnostics Inc.
We’ve designed the GSI TympStar to suit the clinical needs of audiologist and hearing specialists worldwide. 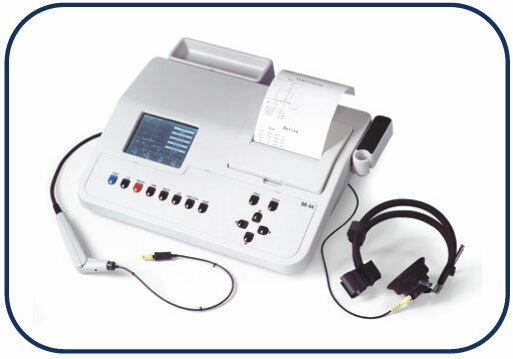 No other middle-ear analyzer offers a broader range of testing capabilities, and no other system provides hearing professionals with the versatility, flexibility and functionality they demand – whether in a clinical or research setting. The GSI TympStar comes pre-programmed with a series of default paramaters for each test mode. As your testing needs change, however, the GSI TympStar also allows you to easily alter test parameters through its Program Mode. You can even automate a desired test sequence. By using the Program Mode, the GSI TympStar alsi makes it possible for multiple operators to program their own default parameters for tymapnometry and reflex-threshold testing. Version 1 of the GSI TympStar offers you four different testing modes, enabling you to perform a battery tests efficiently, easily and accurately. Acoustic reflex testing with version 1 of the GSI TympStar allows you to automatically or manually time the tone presentation. Multiple stimuli and intensities are available to determine the threshold level for the acoustic reflex. The peak pressure value from the tymp is automatically reser for reflex testing, or can be manually adjusted. In addition, you can program reflex threshold seeking, and mark the reflex threshold. The GSI TympStar’s screen clearly displays reflexdecay time in seconds, as well as marks the five- and ten-second interval points. And the peak pressure calue from the reflex-threshold test is maintained for decay test. 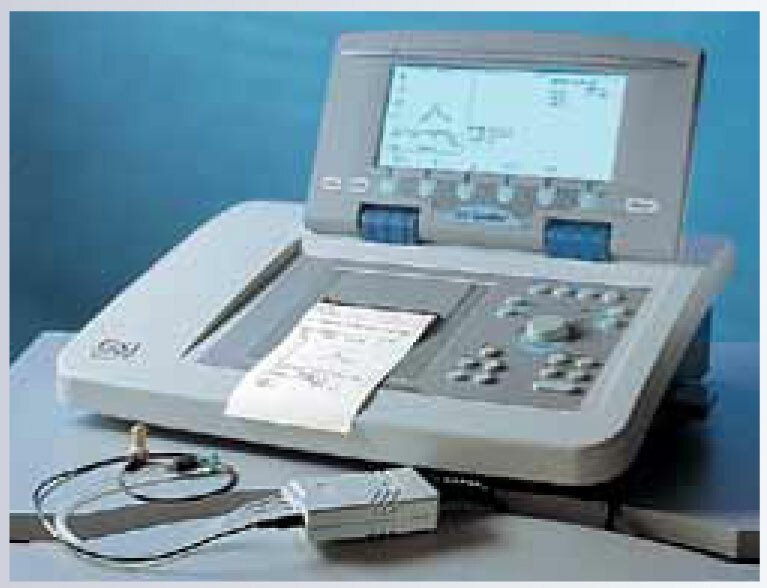 Version 1 offers automatic or manual 226 Hz tymapanometry in a diagnostic or screening mode. Sensitivity scales are automatically determined based on the peak amplitude of tympanogram. The built-in screen can simultaneously display up to three tests, helping you to determine the presence or absence of a peak on a low-amplitude tympanogram. Two different modes are available. 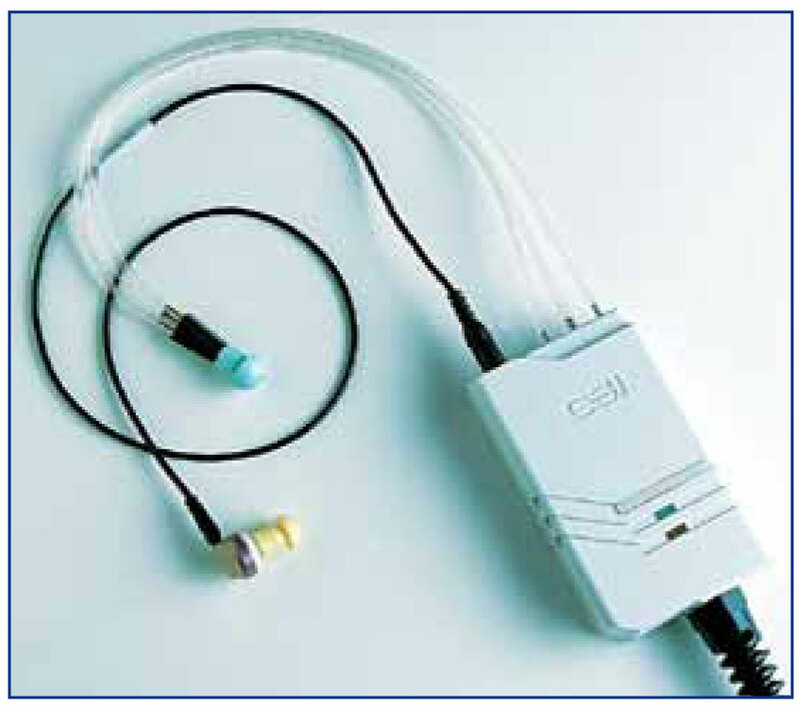 One for testing ETF with an intact tympanic membrane™ and one for testing ETF in a perforated TM. The ETF mode for an intact TM eliminates the need to instruct a patient to perform a Toynnee or Valsalva test. Version 2 of the GSI TympStar is the most complete middle-ear testing system you’ll find. It combines all of the advanced features of Version 1 with the additional capacity to test Admittance(Y), Susceptance (B) and Conductance (G) at 226, 678 and 1,000 HZ probe tones. These enhanced testing capabilities have made Version 2 the preferred diagnostic middle-ear istrument for universities, medical schools anf research labs. The unique, ultra-light probe incorporated into the GSI TympStar’s design is perhaps the most patient-friendly probe you’ll find in a middle-ear analyzer. Its superior construction allow you to obtain a quick and effective seal – whole its LEDs keeps you informed of test status. Version2 offers more probe tones (226, 678 and 1,000 Hz) than conventional middle-ear diagnostic products. This helps you quickly and clearly determine where, along the ossicular chain, problems in the middle ear are occuring in patients of all ages. Multiple-frequency tympanometry allows you to easily determine the middle-ear resonance frequency. Normal middle ears echibit a resonance frequency of between 800 and 1200Hz. A middle ear with otosclerosis would be aboce 1200Hz, and a disarticulated ossicular chain would be below 800Hz. When used in pre- and post-operative test comparisons, this can give you quantitative proof of a patient’s improvement. *No other middle-ear analyzer offers the advanced technology and complete flexibility of the GSI TympStar. The following specifications apply to both Version 1 and Version 2 of the GSI TympStar. > Bold arrowed type indicated the additional capabilities of Version 2.